So you're getting all the snow the rest of the country never got this winter? 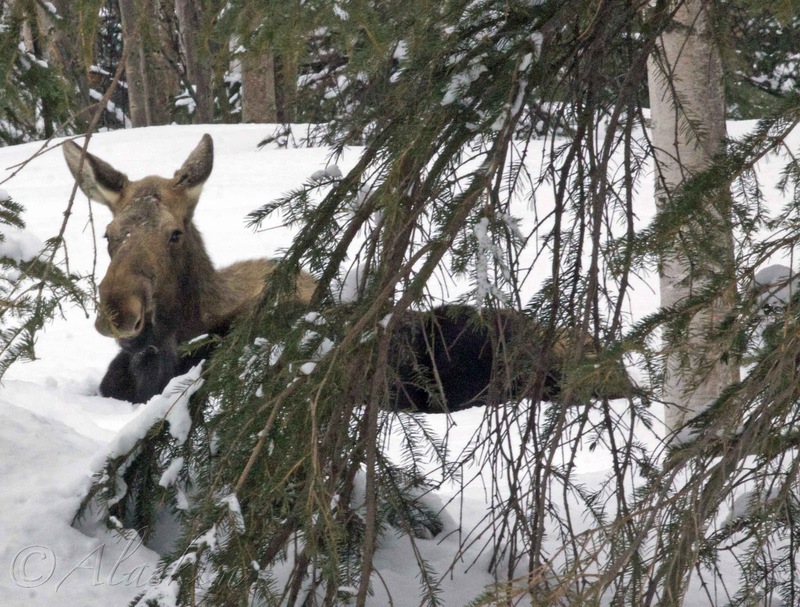 Are those moose laying down, or does the snow REALLY come up to their chests? Wow. We're having record high temperatures here in Ontario. It's crazy, the kids have never worn shorts to school before in March! I like the warmth, but it's scaring me a little. If we're having July weather in March, what's July going to be like? 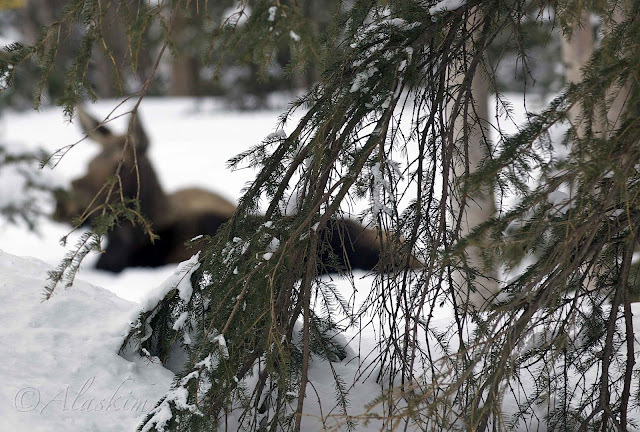 Moose in you back yard - wow what a different place you live in.